This project involved the conversion of former drama and dance studios in a 1990’s building. 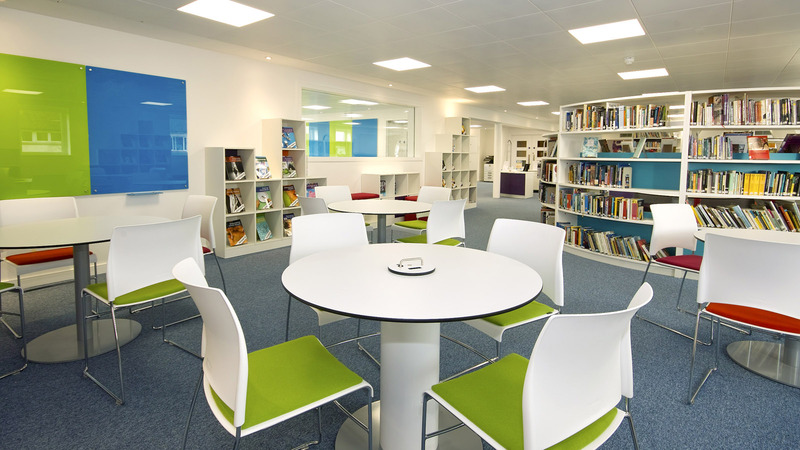 Structural spine walls were removed and the internal space opened up to form a double aspect library providing better natural ventilation and daylight. 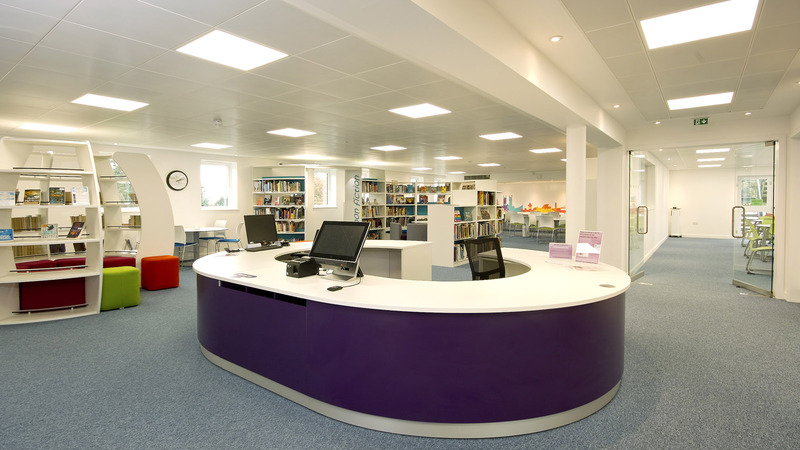 The project was completed over a summer holiday period on budget and a week ahead of schedule. 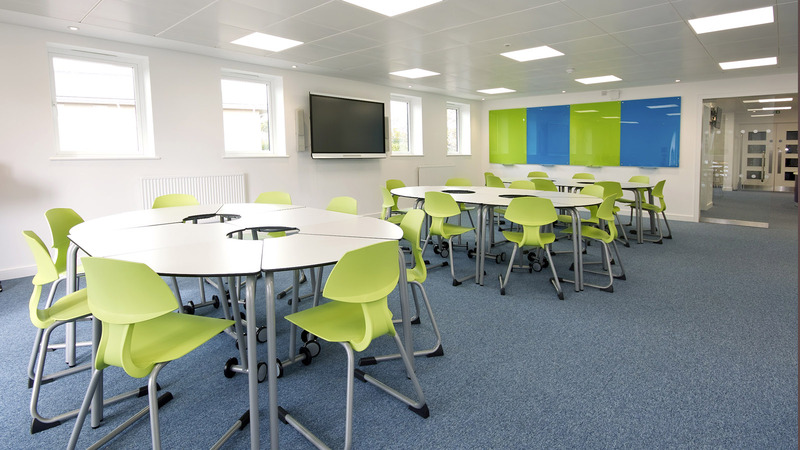 Glazed vision panels were introduced to make the sixth form breakout space more transparent. 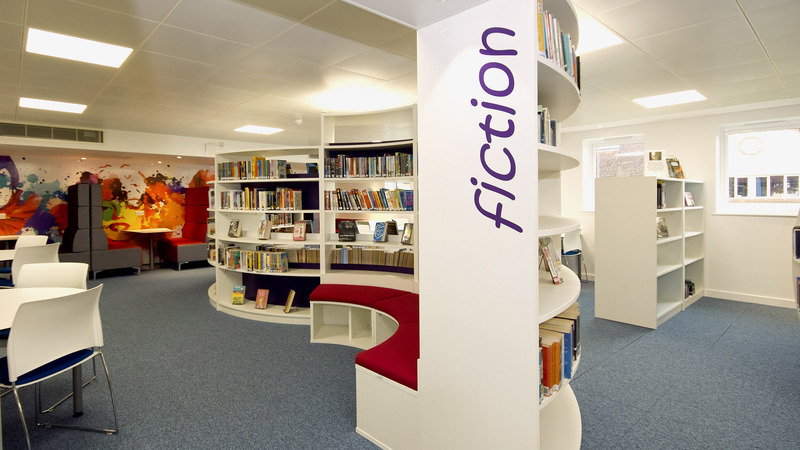 Curved bookcases with integral seating and lighting were used to create interesting spaces. Library study desks have pull out re-chargeable docks for iPads and other devices. 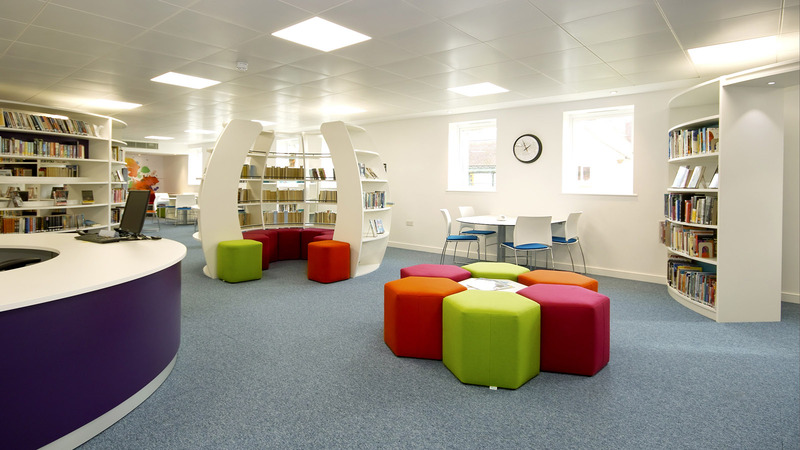 Alternative seating areas included a circular ‘hive’ where 3 or 4 girls can congregate.